Seed of Life - A universal symbol of creation. Get in touch with gratitude & celebrate love! 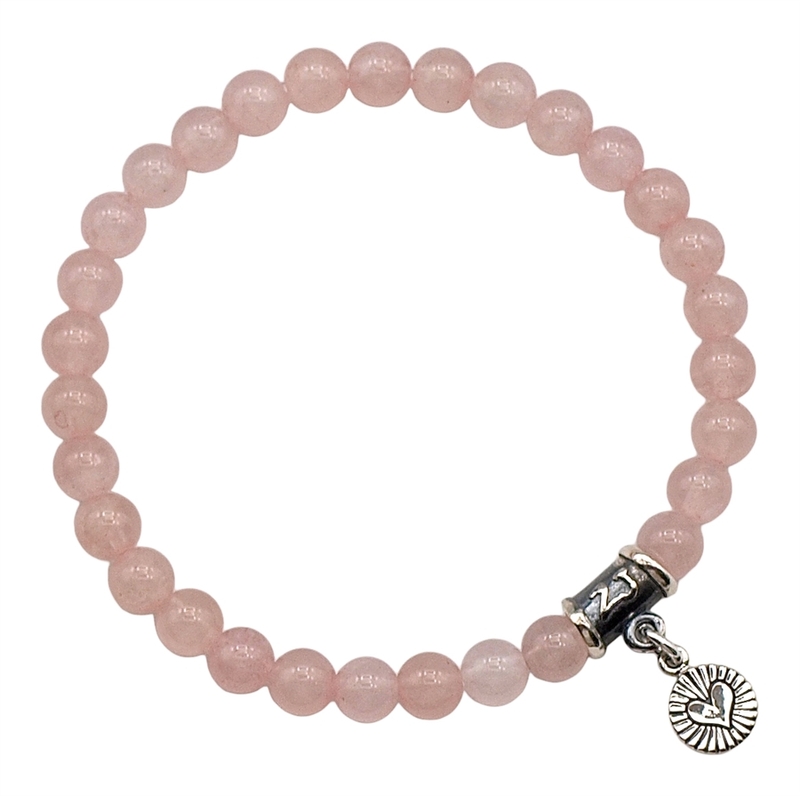 Read about our handmade Rose Quartz healing crystal bracelet to see if you connect with this crystal. Used for opening your heart's center and healing your emotions. Enhances tenderness, hope and kindness. Encourages us to be loving peaceful and gentle. Emanating unconditional love, it helps attracting positive, gentle energy into one's life. Rose Quartz is the crystal of unconditional love and infinite peace. It is the most important crystal for the heart and the heart chakra (chakra 4 - Anahata), teaching the true essence of love. It purifies and opens the heart at all levels, and brings deep inner healing and self-love. It is calming, reassuring, and excellent for use in trauma or crisis. If you want to attract love, look no further than romantic Rose Quartz. It is so effective in drawing love and relationships toward you that it often needs Amethyst to calm things down. In existing relationships, it will restore trust and harmony and encourage unconditional love. Rose Quartz gently draws off negative energy and replaces it with loving vibes. It strengthens empathy and sensitivity and aids the acceptance of necessary change. It is an excellent crystal for mid-life crisis. Holding or wearing Rose Quartz enhances positive affirmations. The crystal can then remind you of your intention. This beautiful crystal promotes receptivity to beauty of all kinds. Emotionally, Rose Quartz is the finest healer. Releasing unexpressed emotions and heartache and transmuting emotional conditioning that no longer serves you as it soothes internalized pain and heals deprivation. If you have never received love, Rose Quartz opens your heart so that you become receptive. If you have loved and lost, it comforts your grief. Rose Quartz teaches you how to love yourself, vital if you have thought yourself unlovable. You cannot accept love from others nor love them unless you love yourself. This crystal encourages self-forgiveness and acceptance and invokes self-trust and self-worth. It's time to attract loving energy into your life, purchase this Rose Quartz bracelet and feel loved! Rose Quartz is known to strengthen the physical heart and circulatory system and release impurities from the body fluids. Placed on the thymus, Rose Quartz can aid chest and lung problems. It can heal the kidneys and adrenals and alleviate vertigo. Rose Quartz is said to increase fertility and aid in conception and pregnancy. It has also been helpful in Alzheimer's, Parkinsons and senile dementia.